Back to work after an eventful weekend getting the bikes to St Petersburg for shipping to Vladivostok. It was good to have the shakedown as a few things cropped up that needed fixing / changing. We arrived in Riga late Friday evening and popped out for a couple of beers, don’t know why but for some strange reason we decided to have a rickshaw race between Gary & Ned v myself, Kev, & Jim! Anyway it all ended in tears and Gary managed to get his ankle run over! Saturday morning the courier dropped the bikes off and we finished some maintenance and packing in the fantastic sunshine. Riga Hotel sorting out bikes. 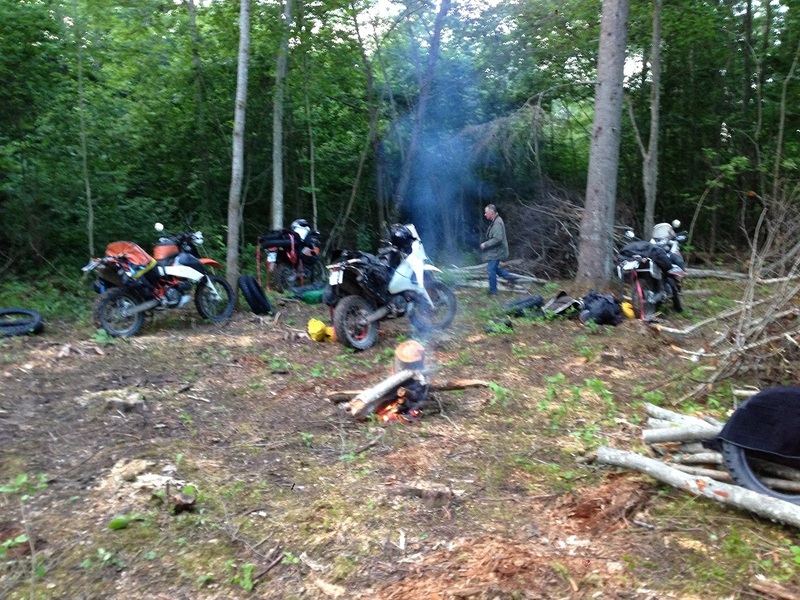 We decided to do a nights camping to check the gear in Estonia last night, not much sleep due to a million mozzie bites between us. Estonia Camping with the snails and mozzies! Arrived at the border in Narva only for me to be told I had to ride home to get a new number plate ( I’d lost it on a dirt track somewhere in Latvia! I just can’t seem to hang onto them! ) The Estonian offical was a complete arse! anyway Gary managed to convince a van driver just going throught the border to take my bike through. 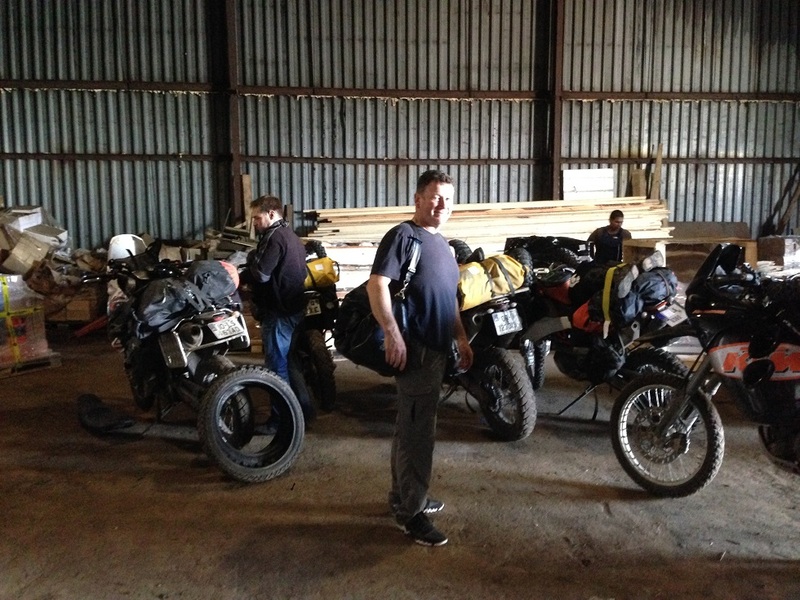 Plan was to get into no mans land and ride through the Russian border and hope for the best. What a result! the Russian border guard had no interest in anything whatsoever, so after the form filling we were off and into Russian. 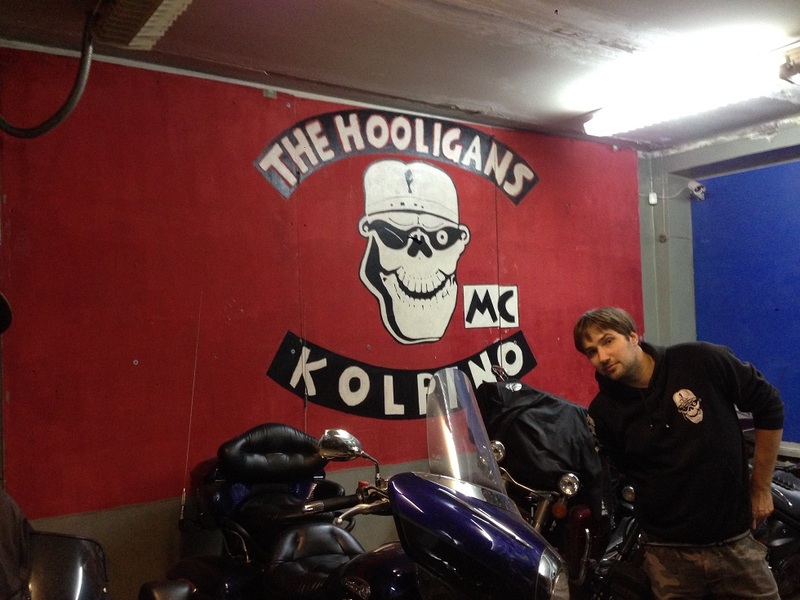 Whilst looking for a hotel in Kolpino a biker stopped by and invited us to his club house where we could store our bikes for the evening. After a beer and couple of “home brew” vodka shots we called it a night. 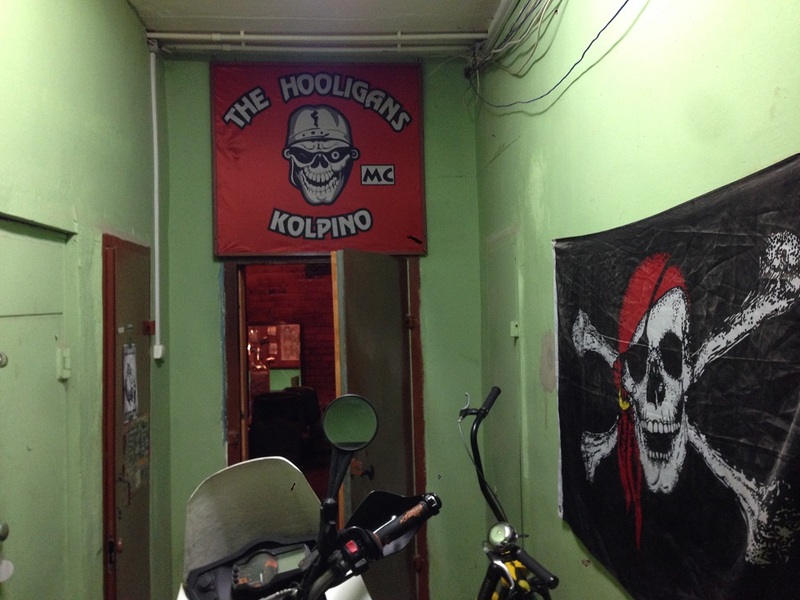 690 in Kolpino Hooligans Biker Bar. Next day Yuri the President of the club met us for a cup of tea and took us to the couriers address to drop the bikes off. 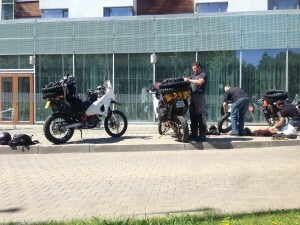 During sorting out the bikes for shipping, Gary’s front tyre was changed as he had been having a weaving feeling from the front end since picking the bikes up in Riga. After a test ride it was confirmed that the tyre must have been deformed during the transport from Ireland by a strap. 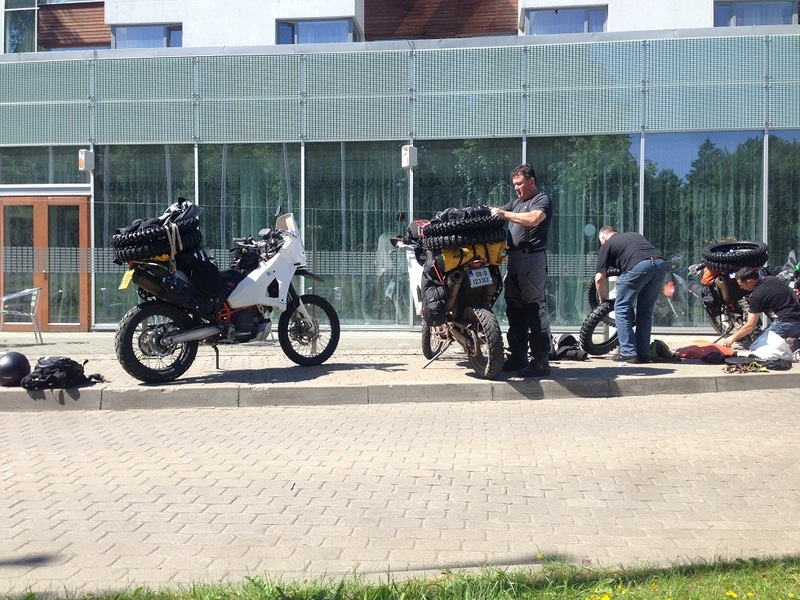 All good and now the bikes are off to Vladivostok ( hopefully )! Dropping bikes off at Kolpino courier.